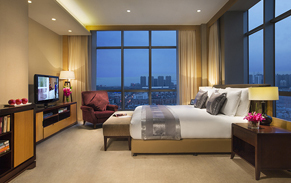 Citadines Gugeng Dalian is located on Jinma Road, a benchmark and international building in the central business district of the Dalian Development Area. It is the ideal residence with facilities, promising both comfort and convenience in the city. The residence is surrounded by restaurants, bars, shopping malls as well as offices and banks. It’s your ideal choice for business or holiday. 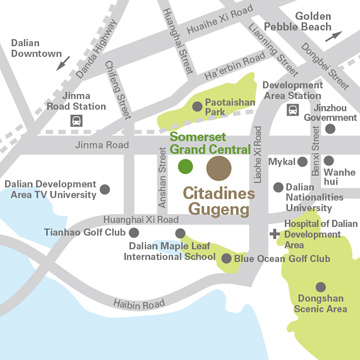 Citadines Gugeng Dalian is easily accessible via a 5 minutes’ drive from light rail system that links you to downtown, a 20 minutes’ drive to the hi-speed railway station and a 35 minutes’ drive from the international airport. The stunning Golden Pebble Beach is also within 20 minutes’ drive away. The residence has a total of 125 units from Studio to One-bedroom Deluxe. Each apartment has a spacious living room, a separate dining area and a fully-equipped kitchen. 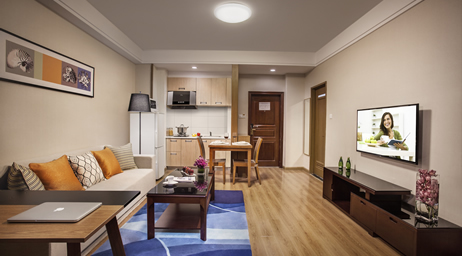 Guests can connect with the world using the wireless internet in the apartment and at all public areas within the residence. 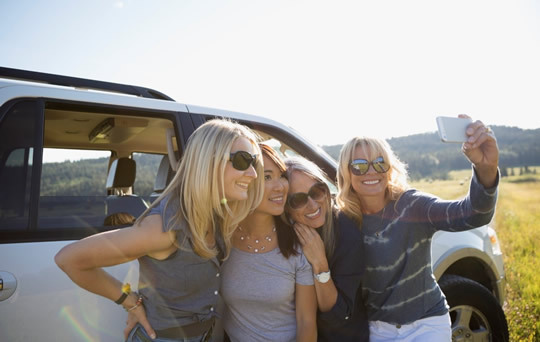 A 24-hour security system ensures a safe living environment for you and your family. Citadines Gugeng Dalian is one of a vibrant collection of The Ascott Limited's serviced residences in over 80 cities in Asia Pacific, Europe and the Gulf Region. A member of CapitaLand, it is the global Leader in branded serviced residences, bringing you more than 30 years' experience in supporting travellers who work and live away from home. Because life is about living. 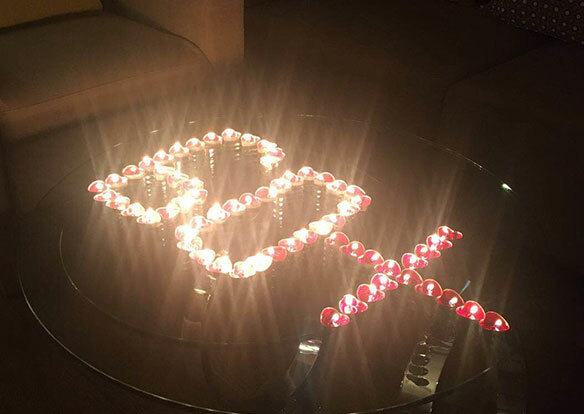 On 30 March 2019, in order to support the global environmental protection program - Earth Hour, Citadines Gugeng Dalian invited residents to join in the environment protection activity. Meanwhile, we prepared a candle dinner for the residents. Everyone spent an unforgettable candle night. On 25 August, Somerset Grand Central Dalian&Citadines Gugeng Dalian held a BBQ celebration party featuring seaside breeze and full of colorful joys. This party was dominated by the unique blue color of the coastal city. There were not only flowers, lamps and balloons decorated in blue, but also the customized blue star flares were distributed to all of guests. we created a sense of fluorescent party on the terrace. 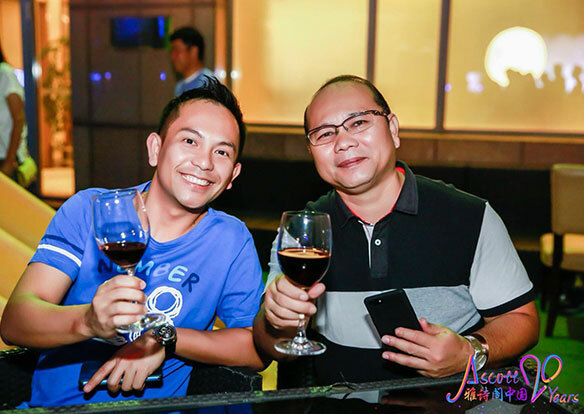 In this party, over 100 corporate clients and residents joined with us. The atmosphere was warm and cheerful, like a fun birthday party! June is the season of Cherry ripening in Dalian. 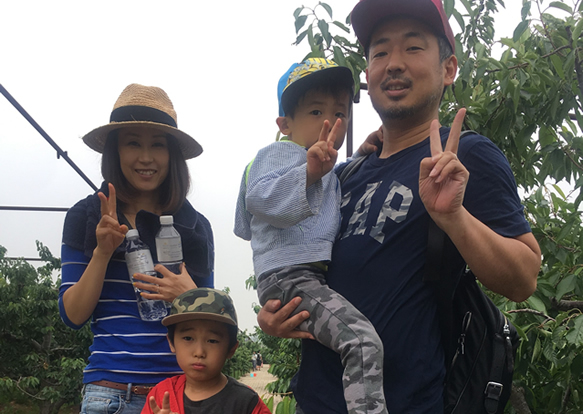 On 17th June, Somerset Grand Central Dalian and Citadines Gugeng Dalian invited more than 50 residents to join this cherry picking activity. In the sunny morning, we drove to the cherry farm together. Our residents were so excited when we arrived that everyone returned with a full load. Through this activity, residents from different countries learned the joy of picking and recognized more neighbors. 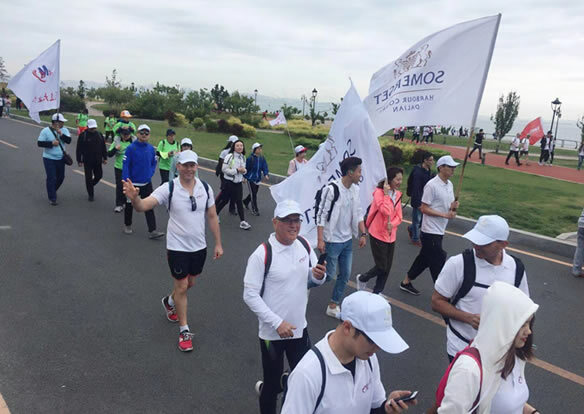 On 20th May, Somerset Grand Central Dalian, Somerset Harbour Court Dalian and Citadines Gugeng Dalian organized our residents to participate in "The 16th International Walking Festival of Dalian" together. We chose the 10KM route, though tired, but everyone was cheerful and confident. During the activity, all of residents had a good laugh and a lively atmosphere. Along the way, we enjoyed the famous scenic spot in Dalian, and we couldn't help taking photos. We walked for nearly four hours, and when we reached the finish line, everyone's face was filled with the joy of victory. On 24 March 2018, Dalian Citadines Gugeng invited in-house residents who are from Brazil, Japan, Tainwan, Malaysia and other different countries to join our “Earth Hour” activity together. We prepared a candlelight easy snack party and our residents enjoyed the food and had a nice talk each other. 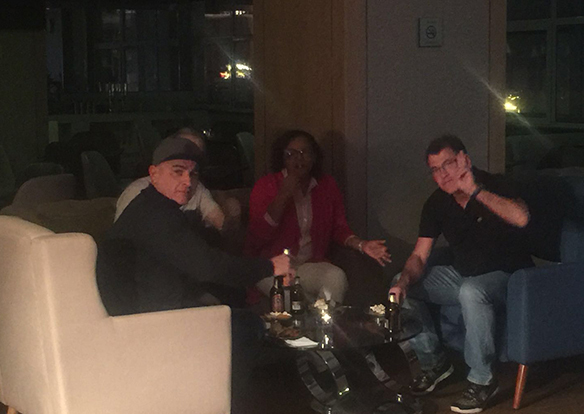 Through this activity, our residents experienced from strangers to acquaintances and spent a pleasant night together.